Gill’s Plumbing and Heating are a family-run local plumbing and heating supplier and installer of over 55 years. If you are looking for a trusted plumber or heating engineer in Welwyn Garden City and Hatfield, look no further than Gill’s – from WC repairs, boiler servicing to full central heating system upgrades, Gill’s have everything to service your plumbing or heating requirements. Gill’s Plumbing and Heating is a well respected family-run business, established in 1962 (now in it’s third generation) we take pride in our professional, reliable and friendly service in Welwyn Garden City, Hatfield and surrounding areas. We’re also a Worcester Bosch Accredited Installer, meaning we can offer extended parts and labour guarantees for all new installations. 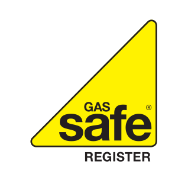 Our team of plumbing, heating and Gas Safe registered engineers are available to carry out all aspects of domestic plumbing and heating, no job is too big or too small for our team.